In this technological era, it is no exaggeration to say that the Internet has been an essential part in our daily life. And different services based on the internet has popped up including music and radio streaming services, which allows users to listen to their favorite songs, compositions and radios in their homes, offices or any other location as long as the network is available and stable. For a beginner in using online radio and music service, you possibly have no idea which online player is the best. Today, this passage has sorted out several useful and free online radio and music players for your inference. You can actually read the article and get one as wanted. Extra Bonus: What if I Want to Play Other Media Files on Computer? iHeartRadio is actually a comprehensive player. With it, you can easily access the latest songs worldwide or get the exact music songs under the specific tab. Moreover, it also allows you to receive the nearby radio stations, so you can freely enjoy radio broadcasts without any restriction as long as you are in an environment where network is quite stable. 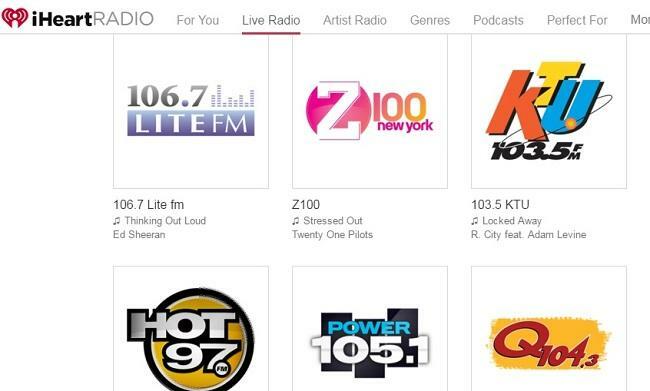 Be it music or radio streaming, this iHeartRadio service has different categories in terms of radio and music such as Comedy, Jazz, News & Talk, Rock, Sports and more, so you can actually reach your wanted file within simple clicks. Best of all, this iHearRadio service can not only offer online service, but also provide application versions for mobile devices including iOS devices, Android phones/tablets and Windows devices. Spotify is another handy radio and music player, containing more than 20 million songs, audiobooks, comedy, radio drams, poetry and speeches. As you can see, it has a rich collection. With it, you can listen to single, albums and playlists at ease. 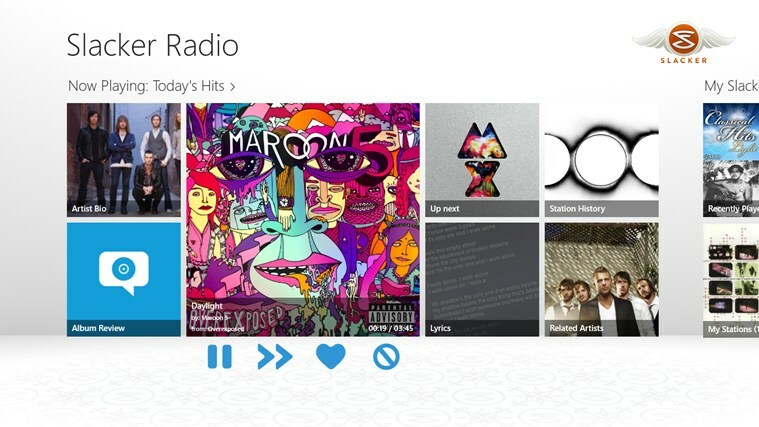 Also, you can create an Artist Radio station that plays music from your favorite artist. For computer users, this Spotify had two different versions, i.e. 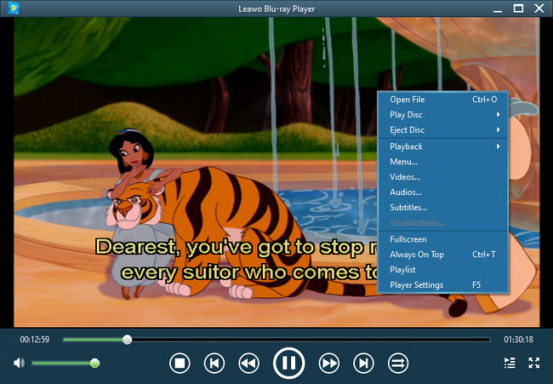 the Web player or the desktop app (available for Linux, Mac, and Windows). Similar to iHeartRadio as introduced in the above, it also has specific versions for Android, iOS and Windows phones. Pandora Internet Radio is another music streaming and an automated music recommendation service that is well received in the market. Rather than providing tracks on-demand, Pandora users pick an song and let it create a radio station of similar and related music. To put it simple, the service plays musical selections of a certain genre based on the user’s artist selection. Similar to the above two players, this Pandora can also serves as a radio player, letting you enjoy radios at ease. But it is now available only in Australia,New Zealand, and the United States. This is another online music and radio player, offering users with online music and radio services. Actually, this Slacker Radio has expanded to more fields including news and weather updates, live ESPN radio, entertaining lifestyles channels. Also, it enables users to make their own customized stations, i.e. customizing a station with music similar to an artist or song. However, this service is only available in the US and Canada. 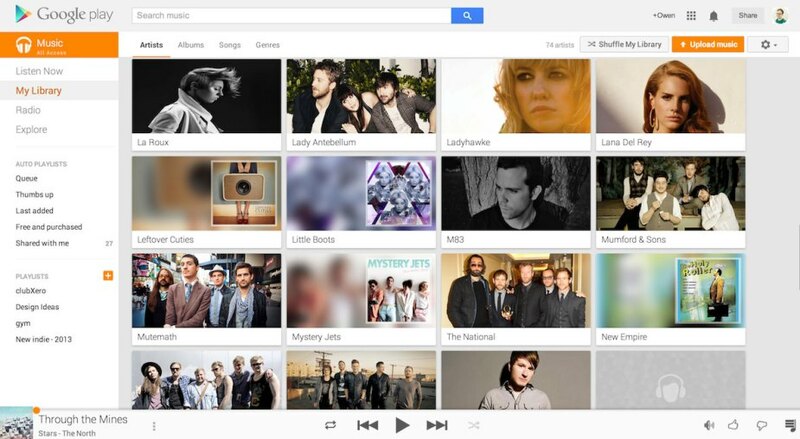 Google Play Music is another handy music streaming service, a sizeable music locker, and YouTube integration offered by Google. With it, users can upload and enjoy 50,000+ music songs for free. With it, you can freely play your music in shuffle mode, manually select particular songs, create customized playlist or browse stations to your own preference. And of course, this Google Play Music is not only restricted to the available streaming catalog, it can also be applied on desktop computer, iOS or Android devices. 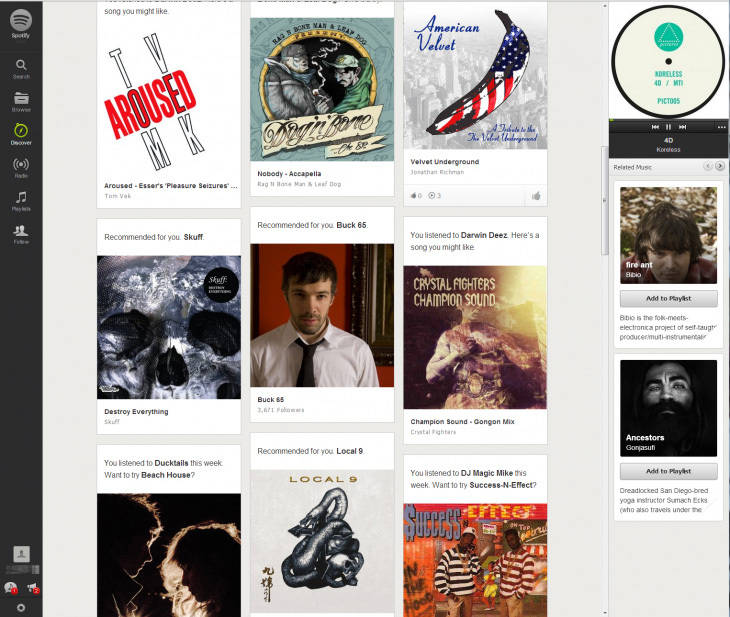 The above are five free online music and radio players worth your attention. And all of them has simple user interface and all you need to do is go the right web page and follow the prompts to enjoy the service. But there still exists difference among these five. For example, compared with other three, Pandora and Slacker Radio are quite limited in terms of supported countries. Though almost all services have different versions for computer and mobile device, but as you can see that iHeartRadio and Spotify can support Windows phone while Google Play Music cannot. While some may prefer killing off their boring time by listening to online radio and songs, some may want to enjoy media files like downloaded movies or homemade videos on computer with their friends or families. Here, this is when this FREE Leawo Blu-ray Player comes into handy. With it, you can play different files including DVD, Blu-ray, physical digital media, container formats, network protocol clients, audio and video of various formats on your computer without any restrictions. The advanced image and processing technology within this program enables users to have superb movie playback and cinema-like experience. Moreover, you can change the subtitle, audio or video settings of the source file as wanted to have a customized watching experience. Best of all, in the coming versions, this Free Leawo Blu-ray Player could also support radio and music playing offered by the above 5 radio players! This program boasts of advanced image and processing technology, enabling users to have superb movie playback and cinema-like experience. Its personalized and preference settings allow users to have their exclusive movie experience exactly to their own tastes. This software has two different versions targeted at PC and Mac users respectively. So just choose the right version and play files as needed!